Music is the nectar of life. It has the solution to every problem and has a knack of rejuvenating anyone in any situation. We listen to music to relive our stresses and strains. Do you have a huge workload at the office? Listen to a mild symphony and indulge in the job at hand with concentration. Want to party hard or enjoy a festive bash? Go to a discotheque and shake your legs with the beats. Or visit a nightclub to get an adrenalin rush with the musical renditions from a booming DJ mixer. Either way, you get your entertainment through music. So for your happiness, your pathos, your career, your therapy or your soul searching, music is an absolute necessity. But we do not always have the time and situation to enjoy our favorite music in our preferred settings. This is where the headsets take the center stage. Headphones and earphones are the most exclusive gadgets for personal musical experiences. We wear these on the move or in congested place not only for listening to songs but to talk too. But these technicalities aside, the new age headsets are primarily in the market for the music lovers. The audiophiles just cannot stay away from music for even a moment. They need music all round the clock. Whether they are going for a jog or sweating out in the gym for a bit, they need music. The same goes for their every other diurnal activity, from commutation to education and from leisure to work. So if you are a listed audiophile then you must be craving for some great melodious exposures. The current market is overflowing with different kinds of headphones and earphones. Some are very high end while others are low key. Some are pricey while others are reasonable. But if you are a true digital person you will know that brand matters and so does the lucky encounter. Here is the list of some of the most popular and affordable headsets in the market. 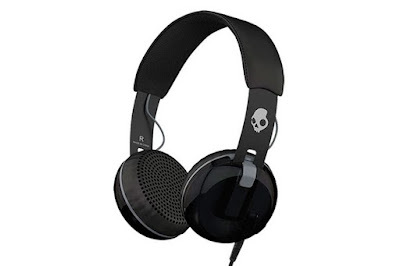 - Firstly, we have the Sennheiser Headset in Black/Gray. The sound and bass of the headphone are very impressive. The classic electronic musical feel is best experienced through these. - Next up, we have the Marshall Major II Bluetooth. This is the best wireless overhead sound experience. The music is a blasting news and a retro chic feel is guaranteed with these ON. - Thirdly, we have the Sony h.ear on Wireless NC. This headset a high-frequency heavy bass rendition for the music lovers. Good noise cancellation, high connectivity strength, and smart sound system make this, a one of kind addition. - A list is incomplete without an apple item. We present the Beats Solo2 Luxe Edition. This is a luxury product with inbuilt everything from noise cancellation to equalizer and from smartness to media player. - Lastly, we have the Shure SRH1540s. This is a high comfort and high definition personal sound experience tool to relive the grandeur of musical renditions. You will get the quality and feel of a sound designing studio with these headphones.